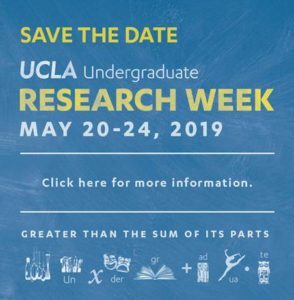 Want to know more about the scientists behind the work in UCLA Physical Sciences? Read some of their stories below. Ken Zhao, a PhD candidate in the department of Atmospheric and Oceanic Sciences published phenomenal research in the Journal of Physical Oceanography. 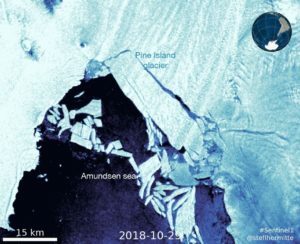 This research focuses on the effects of seafloor sills on melting glaciers. Ultimately, the research may help scientists create a better approach to mitigate rising sea levels. Click here to read Zhao’s account of this research and its implications. 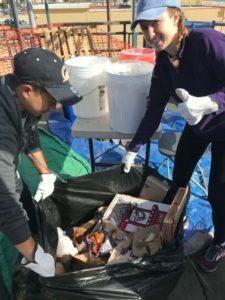 Students from UCLA’s Institute of the Environment and Sustainability spent the 2017-18 academic year digging their hands into the Santa Monica Pier’s waste problem. Click here to read about the student’s work profiling the pier’s waste management and investigation of ways to improve its current system. 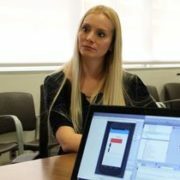 Statistics alumna and UCLA faculty member Ariana Anderson lead a team of researchers in creating the ChatterBaby app, which uses artificial intelligence to interpret a baby’s cry. Based on its sound frequencies and the patterns of sounds or silence, Chatterbaby can identify whether a cry is due to fussiness, hunger or pain. It promises to be a great help to parents who are deaf and caregivers who may not understand what a baby is trying to communicate. ChatterBaby is also being used to collect data to see if crying can be used as a tool to diagnose autism. Anderson’s innovation can be read about in the UCLA Newsroom and on Wired. 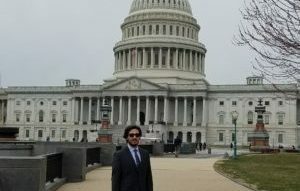 David Gonzalez, a graduate student in the Department of Atmospheric and Oceanic Sciences, traveled this spring to Washington, D.C. and Sacramento to discuss his research with policy makers. The trip to Washington, D.C. was part of training for David’s Switzer Foundation Fellowship. In Sacramento, David and other Bruins represented UCLA at this year’s UC Grad Research Advocacy Day. Click here to read David’s account of these life-changing experiences. 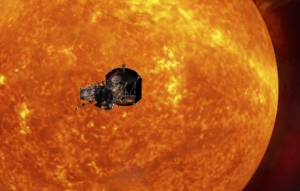 Under the scientific leadership of professor Marco Velli in the Department of Earth, Planetary, and Space Sciences, NASA’s Parker Solar Probe will be the first-ever mission to “touch” the sun. 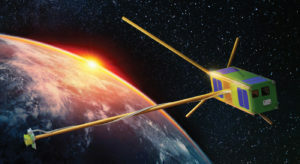 Its instruments will collect information that will make critical contributions to our ability to forecast changes in Earth’s space environment – changes that affect life and technology on Earth as we know it. Click here to read UCLA Magazine’s report on the mission, and click here to visit the NASA website dedicated to the trailblazing expedition. Under the guidance of a dynamic new faculty member, three Chemistry & Biochemistry graduate students had the opportunity to publish their first paper in Science. Hosea Nelson, a professor in the Department of Chemistry & Biochemistry, is the paper’s senior author, and it is within his lab that these budding researchers are being cultivated. 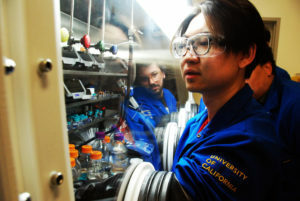 The professor had been brainstorming the idea for this particular catalysis before joining the faculty at UCLA in 2015. When he joined forces with the three graduate students, things happened with surprising speed. Click here to read more about this exciting group of young researchers. Neil Garg has been recognized for his exceptional research with the Glenn T. Seaborg Award, an Alfred P. Sloan Research Fellowship, and the Roche Excellence in Chemistry Award. His lab develops synthetic strategies and methods that enable the synthesis of complex bioactive molecules. Garg is also lauded for his unique and passionate instructional approach. In his hugely popular organic chemistry course, students create music videos about chemical reactions. Garg received the 2018 Robert Foster Cherry Award for Great Teaching, which honors outstanding professors who are extraordinary, inspiring teachers with a positive, long-lasting effect on students and a record of distinguished scholarship. Click here to read more about Garg’s research and educational approach. After thousands of hours of work by undergraduates in UCLA’s Department of Earth, Planetary, and Space Sciences, the ELFIN cubesat spacecraft made believers of the Air Force, NASA and the National Science Foundation. The project is cleared for takeoff in fall of 2018. Click here to read more about this first-ever mission for the university. Suzanne Paulson travels across Los Angeles in her Toyota RAV 4 electric vehicle (watch her in action here). One study found that neighborhoods downwind of Santa Monica airport have elevated levels of pollutants, and Paulson’s further research into the atmospheric chemistry of aerosols continues to illustrate the effect of pollutants on our health and our climate here in Los Angeles. Paulson is the director of UCLA’s Center for Clean Air, headquartered within UCLA’s Institute of the Environment and Sustainability. 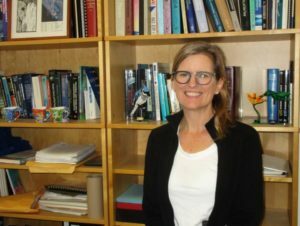 Click here to read more about the critical research being done by Paulson and her colleagues. 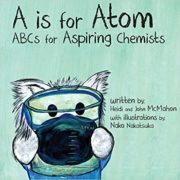 Chemistry & Biochemistry graduate student Nako Nakatsuka illustrated the children’s chemistry book “A is for Atom”. Available now on Amazon, the book was co-authored by UCLA alumnus Heidi McMahon. Nakatsuka, a dissertation year fellow, received a competitive travel award earlier this year for her presentation at the “Brain in Flux: Genetic, Physiological, and Therapeutic Perspectives on Transporters in the Nervous System” meeting in France. 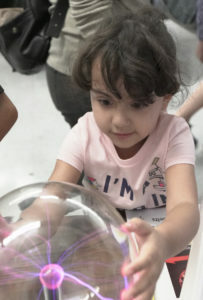 She also starred in a “Kids Teach Science” video produced by BuzzFeed for Pfizer (watch it here). Terence Tao was a seven year-old high school student when he began taking calculus classes. By age 20 he had received a Ph.D. from Princeton and joined the UCLA faculty. He has won the Fields Medal in Mathematics, a MacArthur “genius” grant, and the Crafoord Prize for Mathematics. Watch Tao talk about how he approaches problem-solving. View the video. Song-Chun Zhu conducts computer vision research using image parsing, video parsing, and statistical modeling. His work presents exciting applications for machine learning and artificial intelligence including: surveillance, human body modeling and simulation, aerial imaging, visual arts, and intelligent vehicle design. Read more. Sabeeha Merchant uses a combination of classical genetics, genomics, and biochemistry to discover how a single-celled green alga, Chlamydomona, uses metal ions to create energy for biosynthesis. Sabeeha is a lead researcher on the gene sequencing of the Chlamydomona, which has wide-reaching implications for the study of how cells work and the study of human diseases. Read more. Richard Kaner has synthesized novel superconductors, developed membranes that separate gases from air, and produced new high temperature materials. These discoveries have extraordinary industrial implications which should lead to more pure and effective pharmaceuticals. Renowned for his exceptional teaching, the Academic Senate selected Richard as a Faculty Research Lecturer. Read more.